I could visit Paris a few times per year and would never get enough of it. I’m so fortunate to live only 3 hours by train from Paris, so I’m there quite often. And after visiting it on a school trip, with friends, as a couple and on a solo trip, I’ve became sort of a ‘first time in Paris recommendations’ expert among my friends. After being asked for Paris recommendations so often, I’ve decided to create this beginners art & culture guide to Paris. 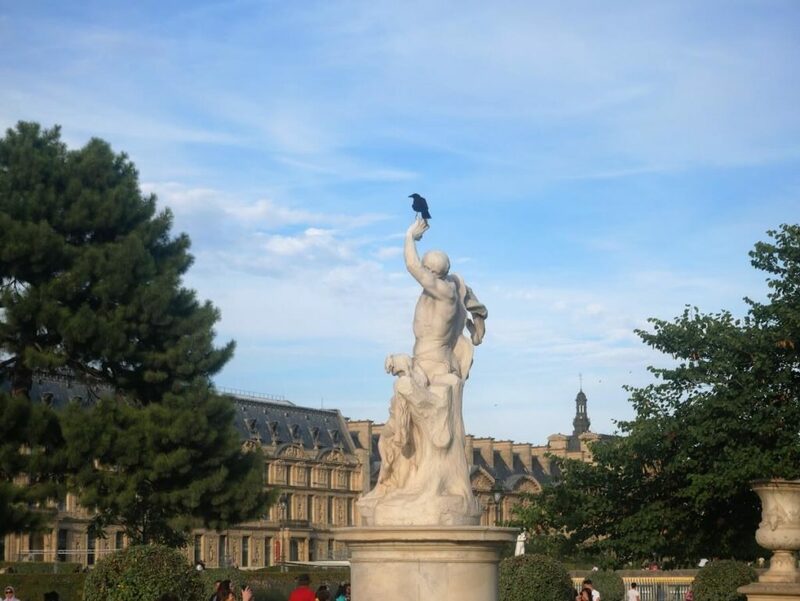 Here you’re going to find a list of sights you should visit, best museums, French food and souvenirs to look for, and some other useful tips for your first visit to Paris. Paris is one of those places that are filled with history, art and culture. So, to better understand it, let’s start with a brief history of Paris. The city was first inhabited in the 3rd century BC and later on it became a Roman town. During the Middle Ages, Merovignians and Franks started to rule it. And it became a French capital in the 12th Century. At that time, a construction of one of its most famous buildings, the Notre Dame Cathedral began. Louis XIV who lived during the 17th Century was one of the most famous French kings. However, he actually moved his court from Paris to a nearby Versailles. In 1789 it became a centre of the French Revolution, with crowd storming to Bastille that was a symbol of the Royal authority. It was destroyed during the Revolution and today you can only see a square in Paris where it once stood. Napoleon Bonaparte, who ruled France between 1799 and 1815 erected many buildings in Paris. Among them, Arc de Triomphe, Pere Lachaise Cemetery and the city’s first metal bridge, Pont des Arts, are the most famous. *TIP: A very impressive Napoleon’s tomb could still be seen today at the Les Invalides Church next to which an Army Museums is. You can book your on line ticket at the link here. Napoleon III and his newly appointed prefect of the Seine, G.-E. Haussmann rebuilt the city centre between 1853 and 1870. Within one of the most impressive urbanistic projects ever done, they’ve built wide boulevards and created standard façades along them with the same height, design and colour (cream – grey ‘Paris stone’). During that time, Paris is becoming one of the most important art centers in the world. Its popular bohemian lifestyle became attractive to many artists and a lot of them moved to Paris. Impressionism, one of the first modern styles in art is developing during that time. *TIP: There are so many places related to work of Impressionists in Paris. If you would like to visit some of them, take a look at my blog post about Impressionists in Paris on a link here. In 1889 and 1900 two important international exhibitions were organised in Paris. Some of the very famous buildings were built for them, like the Eiffel Tower, Pont Alexandre III, the Grand Palais, the Petit Palais and the first Paris metro line. In a first half of the 20th century it was once again a magnet for many artists. 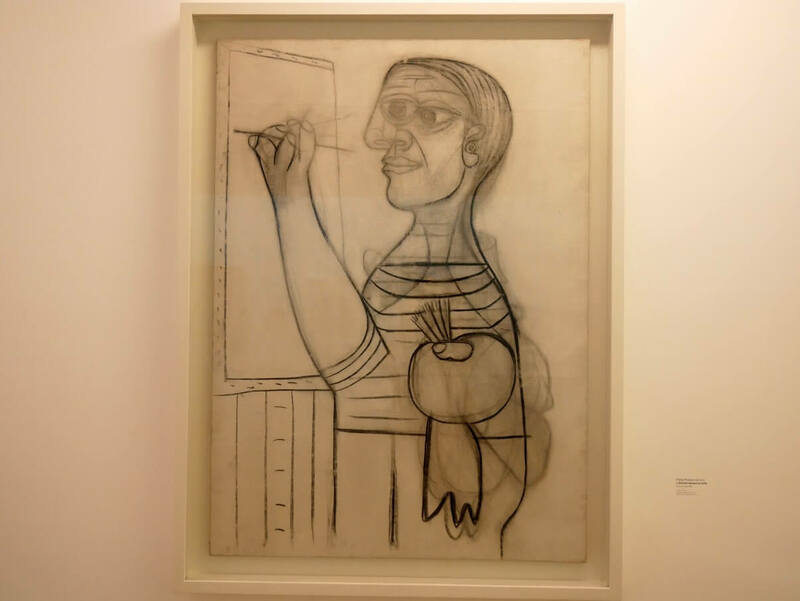 Pablo Picasso, Modigliani, Henri Matisse, Marcel Proust, Ernest Hemingway, Igor Strawinsky, James Joyce, Josephine Baker and Salvador Dali are just some that lived in Paris during that time. During the First World War it was at the front line and often bombed. And during the Second World War it was occupied by Nazis. However, in the second half of the 20th Century it’s developing into one of the most important cities in Europe. A great way to get a feeling of a city and a good introduction to its neighbourhoods and history is by taking a walking tour. 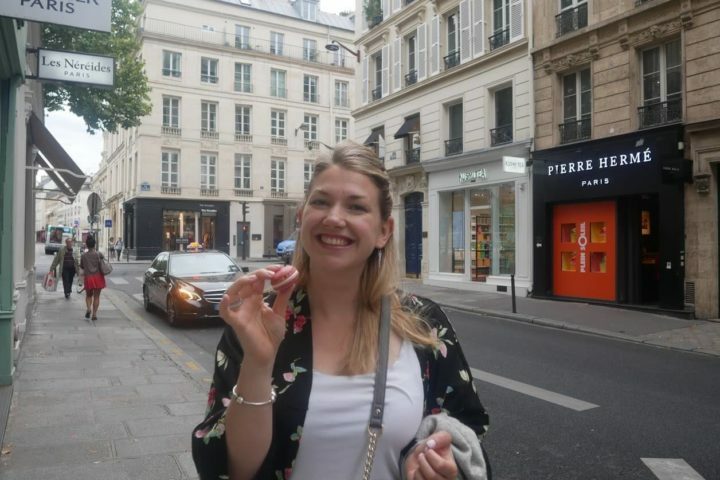 I’ve joined one of the Introduction to Paris tours organised by Context Travel and, although it wasn’t my first time in Paris, it was great to understand how the city grew and how that infamous Parisian lifestyle developed over the centuries. I loved that there were only five of us in a group and our guide was an American writer living in Paris for years (hmmm… almost like we were guided by Ernest Hemingway himself). I would definitely recommend this tour to anyone who is in Paris for the first time. Take a look at the link above for more info! Paris is one of the most popular travel destinations in the world and there are millions of tourists visiting the city each year. That’s why it’s good to plan your visit well. Don’t plan to visit too many sights in one day, but rather choose a place or two you would like to visit. Enjoy the rest of the day in strolling next to the Seine River or by exploring Paris’ street art at Marais neighbourghood. One of my top tips for visiting Paris is to book tickets for places you would like to visit in advance. I’ve included links to all the tickets as well, so you don’t get lost in looking for them on line. *Entrance tickets: Book your on line ticket on a link here! One of the most iconic symbols of Paris is the Eiffel Tower. Built in 1889, and at the beginning seen as an ugly metal construction by the Parisians, it soon became a symbol of the city. I love seeing it from different parts of the city, but probably the best view on Eiffel Tower is from Trocadero on the other side of the Seine River (photo below was taken from there). If you would like to visit it, be sure to book your ticket on line and avoid queueing in line for hours that way. *Entrance tickets: Entrance to Cathedral is free of charge. However, if you would like to visit the towers or the crypt, you can buy your tickets at the entrance. One of my favourite buildings in Paris is a masterpiece of French Gothic architecture, the Notre Dame Cathedral. I love walking around its wonderful gardens and taking a closer look to the flying buttresses, gargoyles and other details on it. *TIP: There is often a huge line of people queueing to get in, in front of it. However, usually earlier in a morning, around 9 AM there’s no one there. So, wake up a bit earlier one morning and get a chance to see it on a slower pace. Arc de Triomphe was built by Napoleon, at the end of one of the most famous streets in Paris, Champs-Elysees. It was built in honour of the soldiers that fought in French Revolutionary and Napoleonic Wars. I’ll definitely recommend climbing the top level, because there is a small exhibition about Napoleon there. And it’s also a place from where you can have one of the most beautiful views on Paris and the Eiffel Tower. 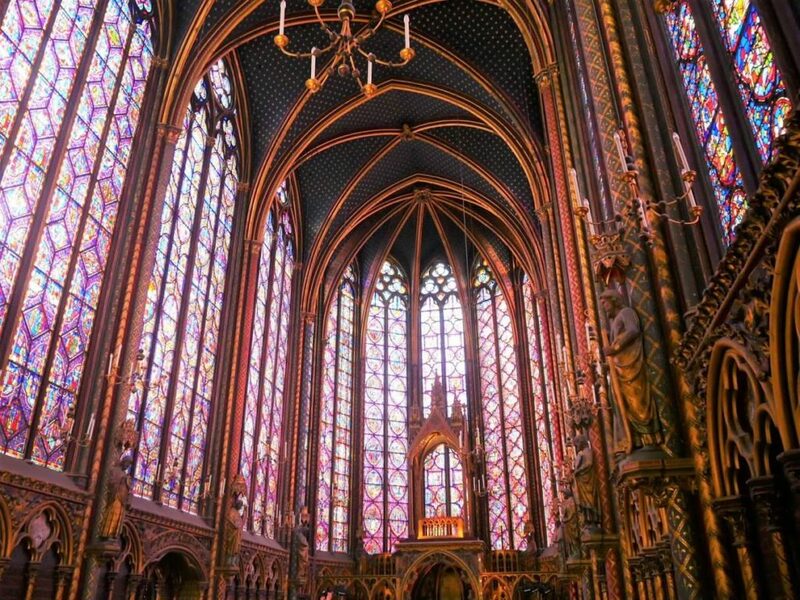 Another beautiful place where you can admire French Gothic is Sainte Chapelle. It’s a royal chapel within the Palais de la Cite, that used to be a residence of French kings. It’s world famous for its large stained glass windows and definitely a place you should include in your first visit to Paris. One of the most famous museums in the world is located in the old palace of the French kings (their court was here before it was moved to Versailles by Louis XIV). Since it was built during a long period of time, you can see different styles on it. However, it is an amazing building and a walk around its courtyards, while discovering busts of different famous French people on its façades, is something you shouldn’t miss when in Paris for the first time. 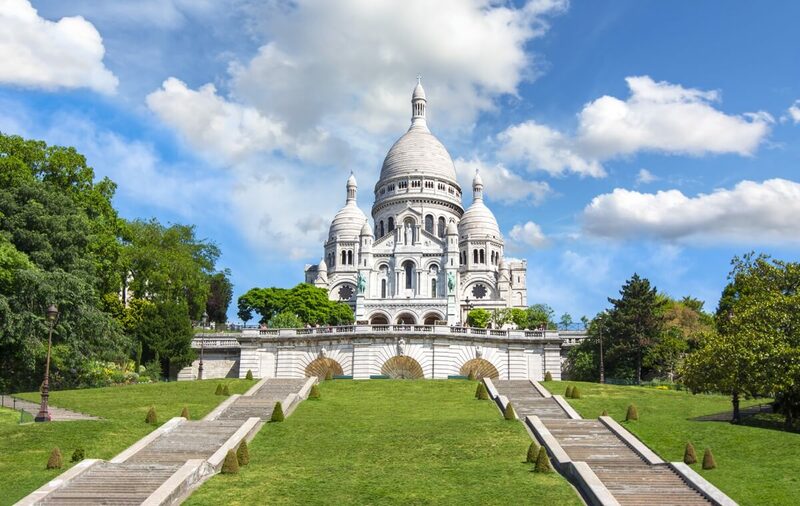 Built at the highest point in Paris, at the Montmartre hill, the Basilica of the Sacred Heart (Sacré-Cœur) is the second most visited place in Paris. Rather new building, finished in 1914, it is definitely one of the most beautiful places in the city. 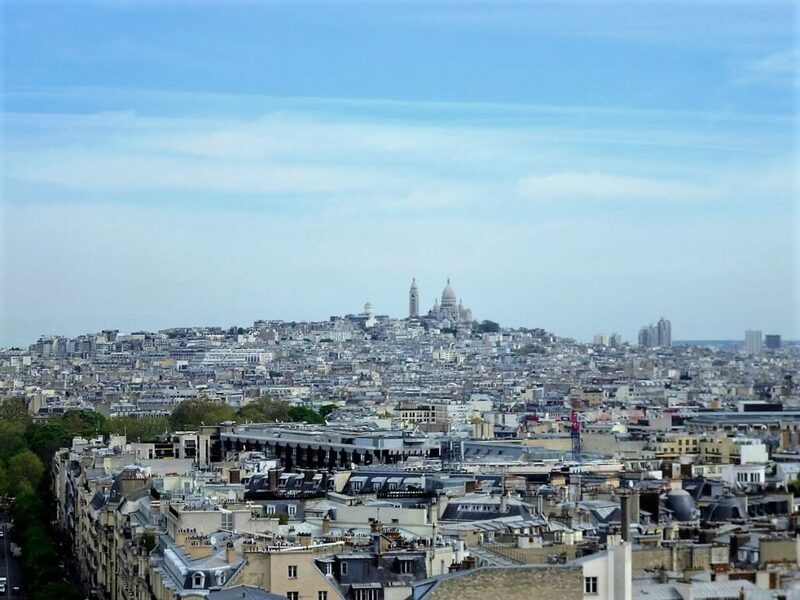 You can combine a visit to it with a walk around the Montmartre neighbourhood. *TIP: One of the best views on Paris is from the entrance of the Sacré-Cœur Basilica. So be sure, not to miss it! 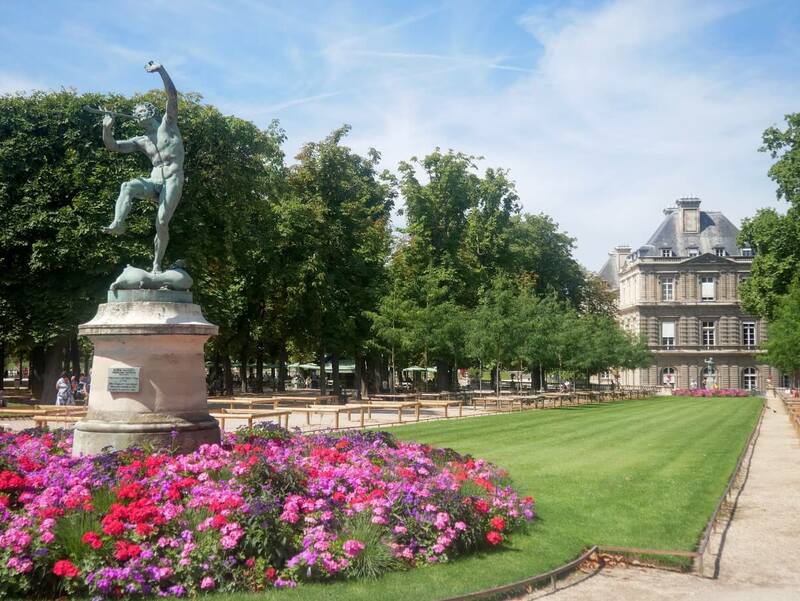 With its wide boulevards, beautiful residential buildings and Jardin du Luxembourg, Saint Germaine des Pres is definitely my favourite neighbourhood in Paris. It’s an area with those typical Haussmann’s buildings, many stores, restaurants and galleries. It’s one of the more expensive residential areas, so you can also see a bit of a fancy Paris there. *TIP: Being so centrally located, but still quite residential, I would advise you to look for your accommodation in this area. I’m always staying at a hotel in Saint Germaine des Pres neighbourhood. And it’s easy to walk towards the Notre Dame Cathedral and the Louvre from there. Montmartre is where many artists used to live during the second half of the 19th Century. It was a bit of a rural area, outside the city walls with cheap rents. That’s why it was also attractive to many of those bohemian artists. There are still many places there where some of them lived (for example, you can see a building in which Vincent van Gogh used to live with his brother Theo). Or where they were meeting and buying their art supply. It still has a bit of that artistic feel today. However, it’s very popular among the tourists, so, you should go to the side streets to get a more authentic feeling. I love Marais because it’s so different from other Parisian neighbourhoods. You can see how Paris used to look like before a big urbanistic makeover Haussmann gave it. It’s a home to some quite cool restaurants, vintage shops and my favourite, some very cool street art. *TIP: You can read more about it in my ‘Travel diary from Paris‘ on a link here. Paris is a home to some of the best museums in the world. And if you’re only staying in a city for a few days, it could be hard to choose which ones would you like to visit. My advice here is don’t go somewhere, just because it’s a popular museum. I’m not a big fan of contemporary art and that’s why I’m not visiting museums dedicated to it, no matter how popular they are. 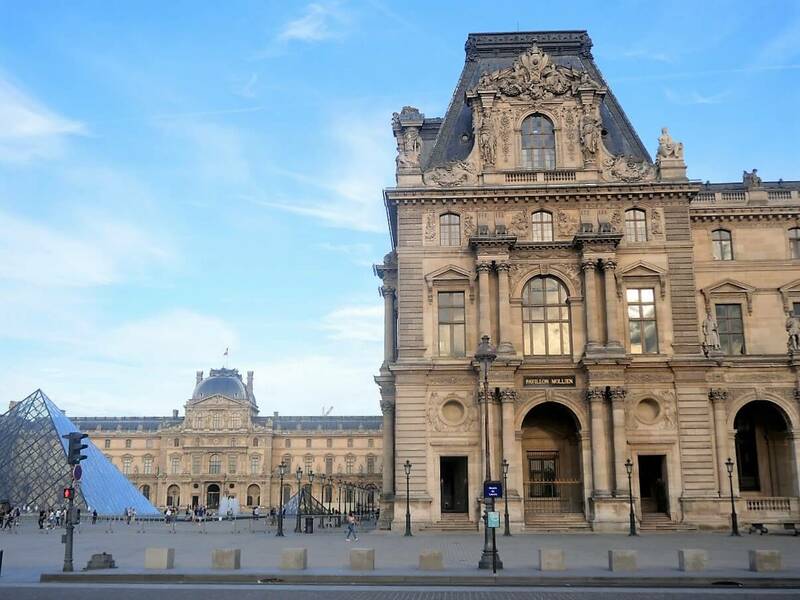 However, here are some of the best museums to visit when first time in Paris. *TIP: If you would like to see what other museums to visit there, take a look at my blog post about the best museums in Paris. The most famous museum in the world is definitely a place you should visit at least once in your lifetime. However, it’s also the most visited museum in the world, so plan your visit wisely. 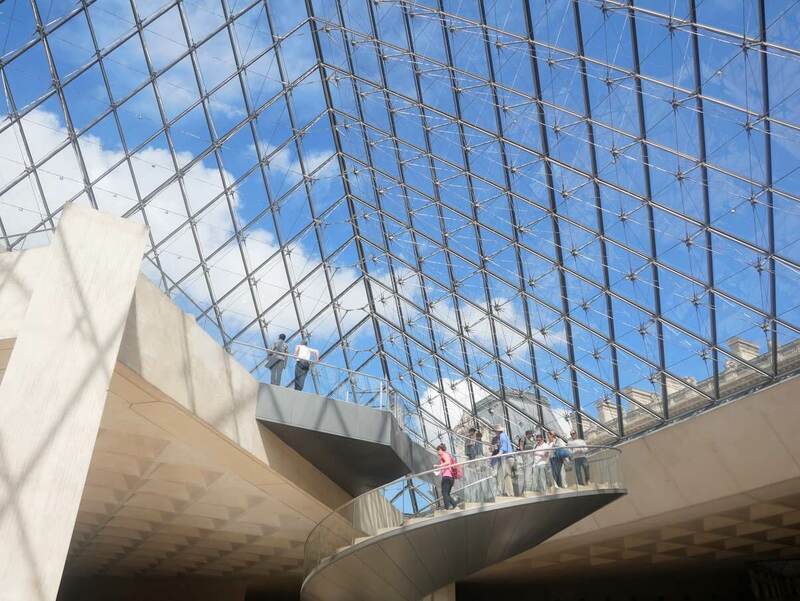 If it’s your first time in Paris I would definitely join some of the organised museum tours. That way you’re going to see the highlights and will get a great overview of the museum. If you would prefer to visit on your own, be sure to get your ticket with a designated time on it, on line (link above). This is absolutely my favourite museum, not only in Paris, but in general. It’s a home to two oval rooms in which Monet’s Water Lilies are displayed. It’s such a wonderful experience sitting in a middle of the room being surrounded with those amazing paintings. They also have a collection of some great Impressionist and Post-Impressionist paintings. It’s a smaller museum and you can see everything within two hours. Another iconic museum in Paris is Musée d’Orsay. Located in a former train station, it’s a home to work of some of the first modern painters. One of the biggest collections of Impressionist paintings is there. Together with some of the very famous late 19th Century masterpieces, as well. *Entrance tickets: Book your on line ticket on a link here!. Museum of contemporary art is definitely a place to go to anyone in love with the 20th and the 21st Century art. It’s definitely one of the most important museums of that kind in Europe. To me, its building is its best part and whenever I’m in Paris I love to pass by next to it. This is a museum with one of the biggest collections of Picasso’s work. What I really like there is how they’re displaying his work by themes and in chronological order. That way you can see so well all the style changes he went through. Paris is one of the cities I could definitely see myself living in. And the reason for it is that enjoyment in life, Parisians have mastered. There are so many parks there. So, when you’re tired of a city bustle, you can just go to one of them and have a little picnic. It almost force you to slow down and just enjoy in a moment. 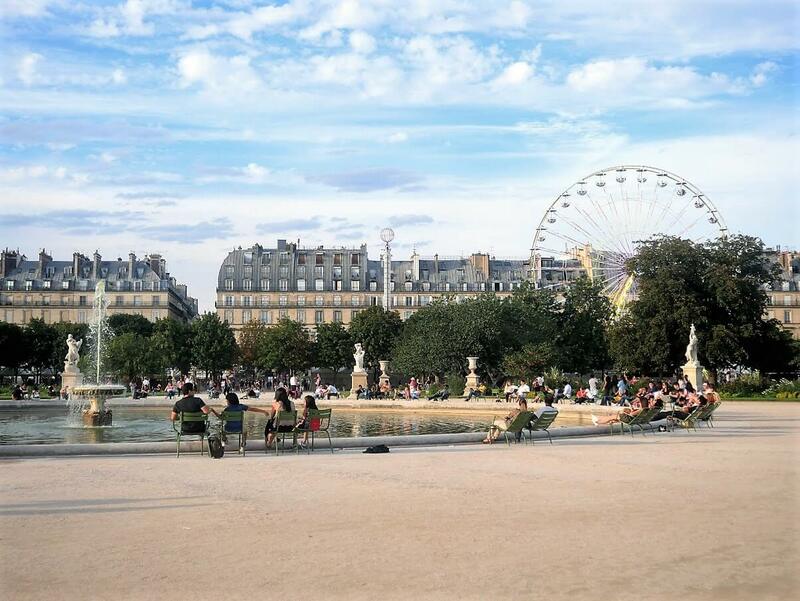 *TIP: You’ll see so many Parisians having their lunch with friends in a park. So, get yourself some baguette and cheese, and feel like a local for a day. My absolute favourite park there is Jardin du Luxembourg. Located right in a middle of Saint Germain du Pres neighbourhood, it’s one of the places I’m visiting whenever in Paris. It has such a beautiful combination of culture and nature, that will transfer you back to history and you’ll almost expect Maria de’ Medici, who initiated it’s construction, to pass by. 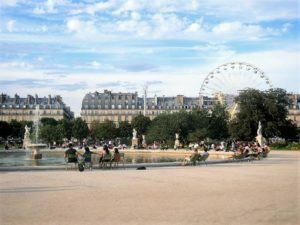 Another park I really like is centrally located Jardin des Tuileries. 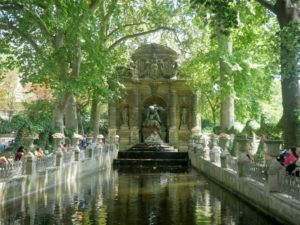 It’s a great place to walk through between the Louvre Museum and Place de la Concorde. There are many metal chairs there you can take and put wherever you like, and then just sit, relax and enjoy in a view on Paris. I was quite fortunate when the last time there, because it was the weekend of the Tour de France. And we had a perfect view on a race from the park. Not really a park, but one of the most beautiful promenades in the city is Canal Saint-Martin. It’s a place to go and feel more like a local in Paris. It’s also the place where some of the scenes from the ‘Amelie’ movie were shot. 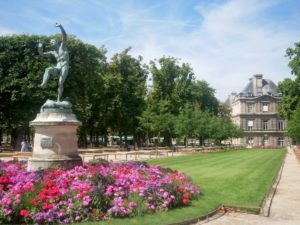 *TIP: If you would like to explore Paris like a local, take a look at some of the suggestions in my blog post on a link here. This is definitely one of the very special places in Paris. The old 19th Century garden cemetery where many famous French people were buried. Oscar Wilde, Honore de Balzac, Eugene Delacroix, Edith Piaf and Marcel Proust are just some that are buried there. Probably the most visited grave is one of the rare non-French people – Jim Morrison. Beautiful tombs and statues, and a feeling like you are walking through the history, is what makes this place so special. Whenever in Paris, I love having a traditional French breakfast at one of the restaurants around my hotel. I just love the simplicity of it: a baguette, a croissant, a bit of jam and a cup of coffee. And I love to start a day in that way. Watching the city waking up and making a plan for a new day in Paris. *WHERE? Once again I love Saint Germain du Pres area. Many restaurants are serving traditional French breakfast. I’m always avoiding the ones looking too touristic (signs in English are usually a red flag to me) and am choosing the ones where I could see local people inside. So, my favourite dish to have in France is a duck. There is something there that makes that duck so good and so much better then anywhere else. *WHERE? There is a great restaurant I’ve discovered on one of my trips to Paris. It’s close to the Orsay Museums and it’s called Les Antiquires. I loved everything there, from the service, atmosphere to that perfect duck I ate. A big recommendation for it! Oh, I love French cheese! Whenever I’m in Paris I’m always buying some and am bringing it back home with me. You can have a cheese plater in almost any restaurant in Paris. But, what I prefer to do is to go to a market or a better supermarket, buy some cheese there and have it at a balcony of my hotel room. I just feel completely like a local that way. If there is something sweet you have to try when in Paris, it’s definitely a macaron. These sweet little cookies have already became one of the symbols of France and Paris, and you’re going to find them at many places around the city. It’s hard to me to decide which are the best. But, I would definitely recommend you to either go to Laduree (that photo below is from there) or to Pierre Herme. Or to both, as I’m usually doing when in Paris. Visiting a city is not only walking from one sight to another. But, one of my favourite things to do is to sit in a local cafe, have some coffee and cake, chat and watch the city. And I especially like to do that in Paris. *WHERE? One of my favourite cafes in Paris is Carette. Their coffee is probably the best I had in Paris and the selection of cakes there is just amazing. I’m always visiting it when in Paris and have even had a mini birthday celebration there two years ago. There are a few things I would recommend you getting as a souvenir from Paris. I’ve actually wrote the whole blog post about the best souvenirs in Paris and you can read it on a link here. However, here are just some of my top recommendations. # – French food – French food is big and getting some of it home with you will make you feel like you’re still in the City of Light. Buy some cheese at the market or some French wine at the wine shop. 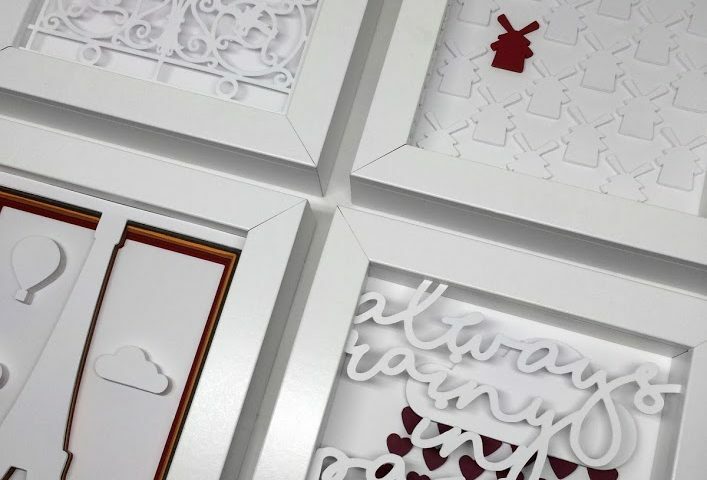 Macarons are also a great souvenir and in many of those special macaron shops they have a beautiful boxes for them, so they could be a perfect present, as well. # – French cosmetics – I love cosmetics and whenever in Paris I’m buying some of cosmetic products, too. French cosmetic products from brands like Nuxe and Avene are significantly cheaper there then in other European countries. You can read more about it in my blog post about buying cosmetics in Paris on a link here. # – Something artistic – Paris is a city of art and you’ll find a lot of artistic things around it. I love the museum shops there and especially reproductions of paintings they have. One of my favourite places to buy something special is a Merci Concept Store. A lovely place, even to just wonder around. Something I love to do when travelling is reading a book or a novel about that place before or after the trip. Paris was inspirational to so many writers and there are so many books either about it or with a story set up in it. If you’re a bit of a bookworm than a place you definitely have to visit is a Shakespeare & Co. Bookstore. Many famous writers used to gather there. It’s a bit of a historical sight already. But, it’s also a place where you can find a large selection of books in English in Paris. # 1 – Ernest Hemingway: A Moveable Feast – Probably one of my favourite books about Paris. I’ve bought it on one of my trips in Paris in Shakespeare & Co. Hemingway is describing life in Paris in 1920s and 1930s so well, you’ll almost have a feeling like you’re there. *Buy ‘A Moveable Feast’ on Amazon on a link here! # 2 – Christina Henry de Tessan: Forever Paris – Another great book about Paris that will transfer you to some passed times. 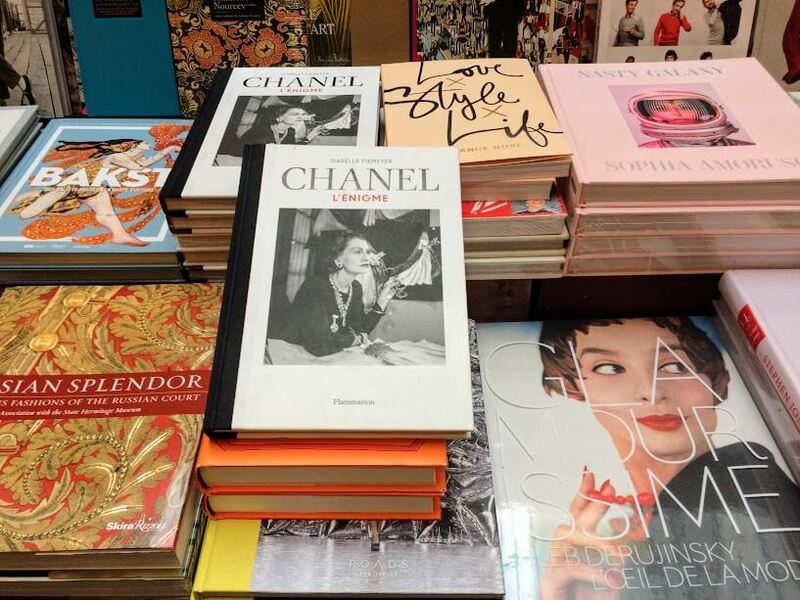 Author is following lives of famous Parisians like Coco Chanel, Claude Monet etc. And she’s then creating little self-guided tours around Paris where you can see places where they lived, worked or just hanged out. I have followed the footsteps of Coco Chanel on one of my trips to Paris and really loved it. *Buy ‘Forever Paris’ on Amazon on a link here! 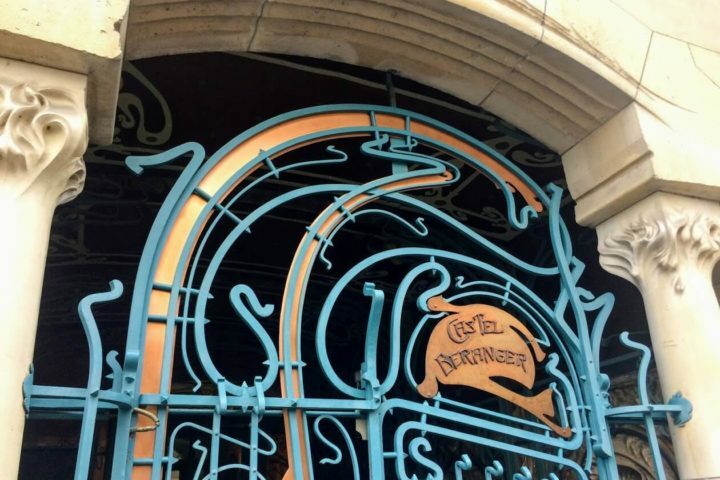 # 3 – Janice MacLeod: Paris Letters – Something for artistic souls in love with Paris. 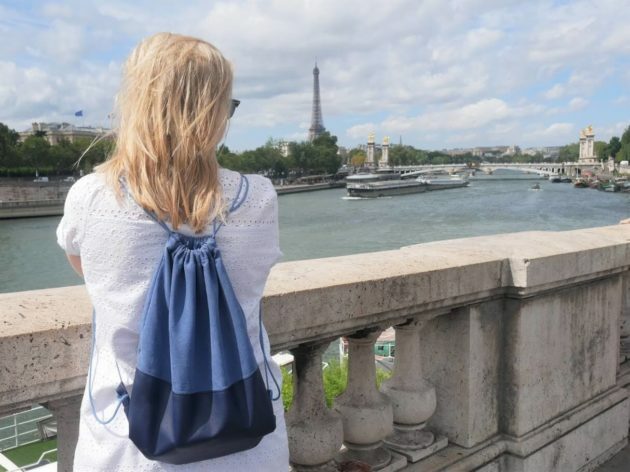 This is a novel about an American girl who moves to Paris in a lookout for purpose in life. After spending some time in the city she’s starting to paint scenes from Paris and send them to people around the world. Of course, she falls in love with a Parisian guy on a way, too. Buy ‘Paris Letters’ on Amazon on a link here! # – Tickets for the public transport in Paris – Metro system in Paris is really good and easy to navigate. The city is quite big, so it’s good to use the public transport from time to time. Something I always do is to buy a set of ten one-way tickets at one of the machines you’re going to find at any station. This is also the cheapest option and you’re going to pay for those ten tickets 14,90 euros (so, 1,49 euros per ticket). Their official website is also great for finding the best routes inside the city. Check it out at the link here. # – What to wear in Paris – Paris is the city for the layers and an umbrella. Summers could be quite warm and winters grey. The weather is also often changing so take something with long sleeves if you’re visiting in summer. Rain is also quite common, but luckily, it lasts for a short period of time. However, taking umbrella is something I would advise you to do.